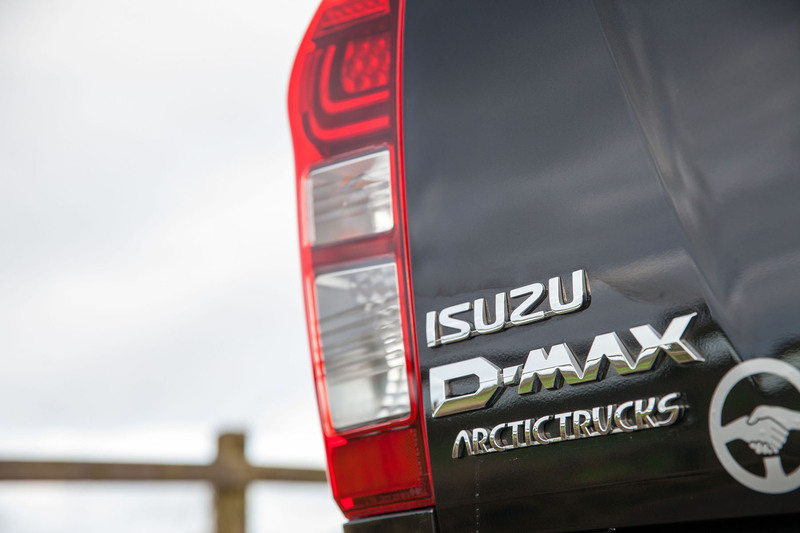 Known as the AT35 this bonkers looking D-Max appeals to a whole new market whilst retaining that full-time working truck capability with the reliability Isuzu are acclaimed for while Arctic Trucks (AT) are a firm that have built some of the most outrageous vehicles for exploration. 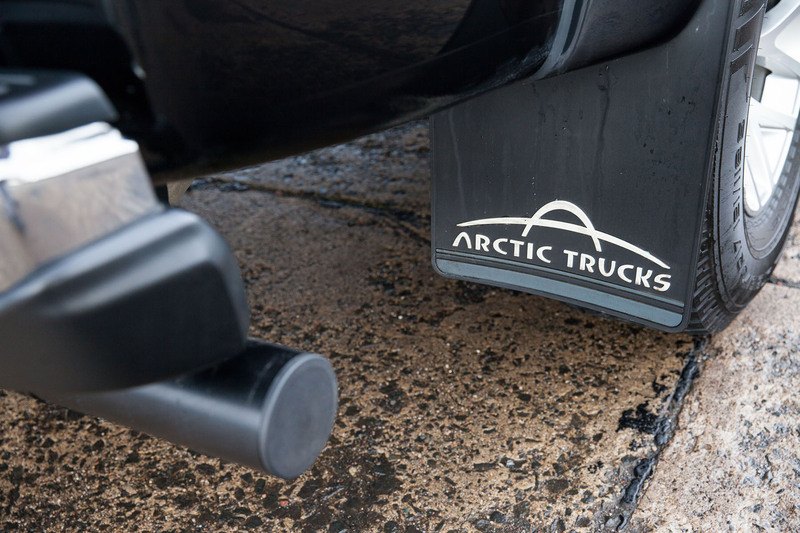 Exploration as you may have guessed by the company’s name, in tough Arctic conditions and indeed the company are probably best known for building the red Toyota Hilux that featured in an episode of Top Gear a few years back when on the Beeb. 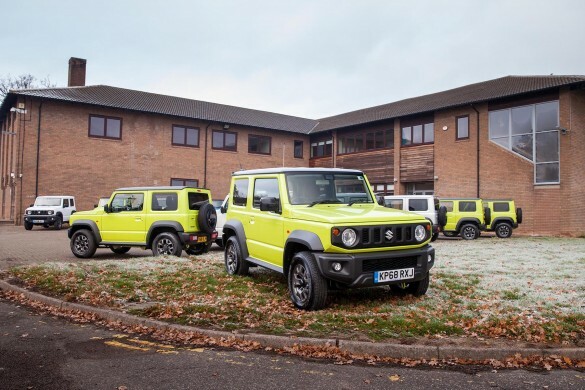 With 25 years experience as bespoke vehicle builders they provide unique and capable vehicles for exploration as well as defense vehicles with armory and the ability to command any terrain at any time. 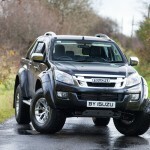 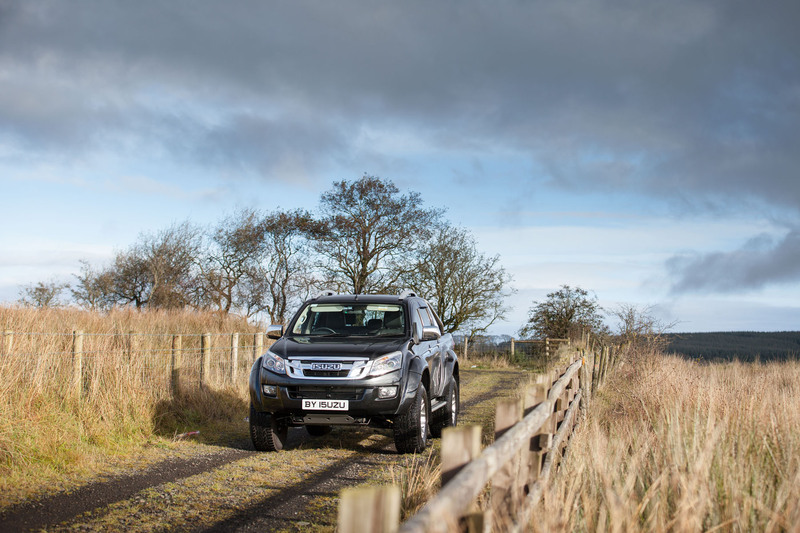 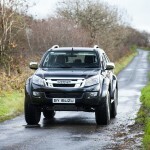 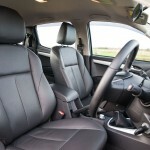 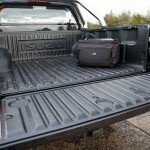 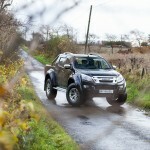 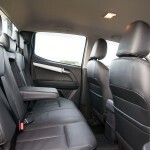 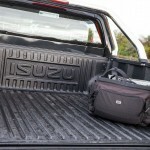 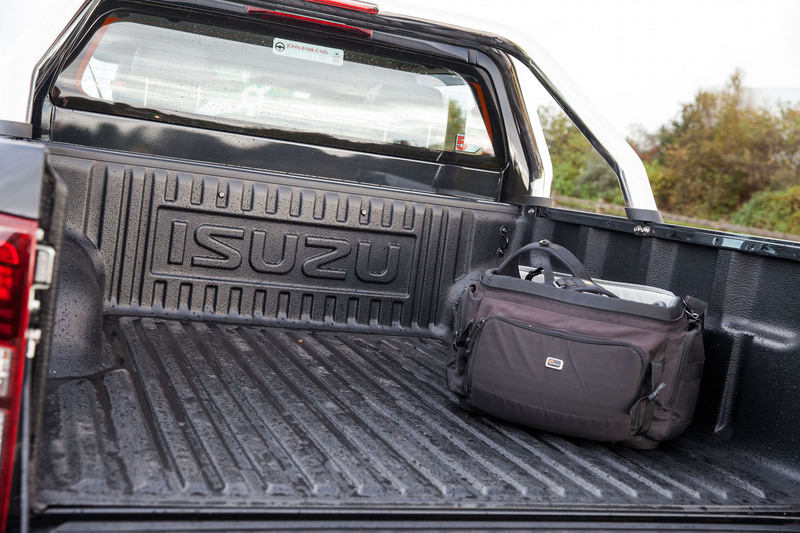 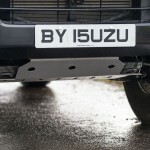 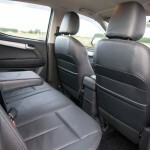 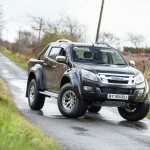 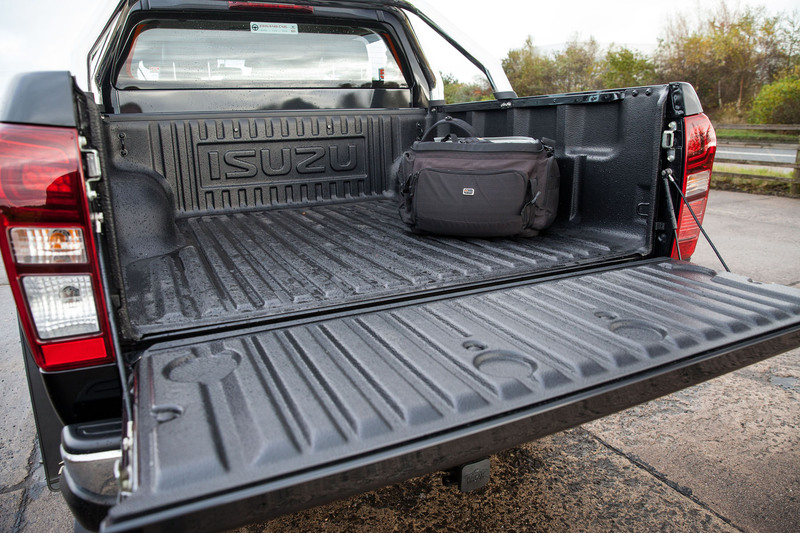 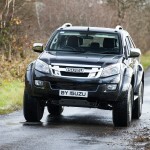 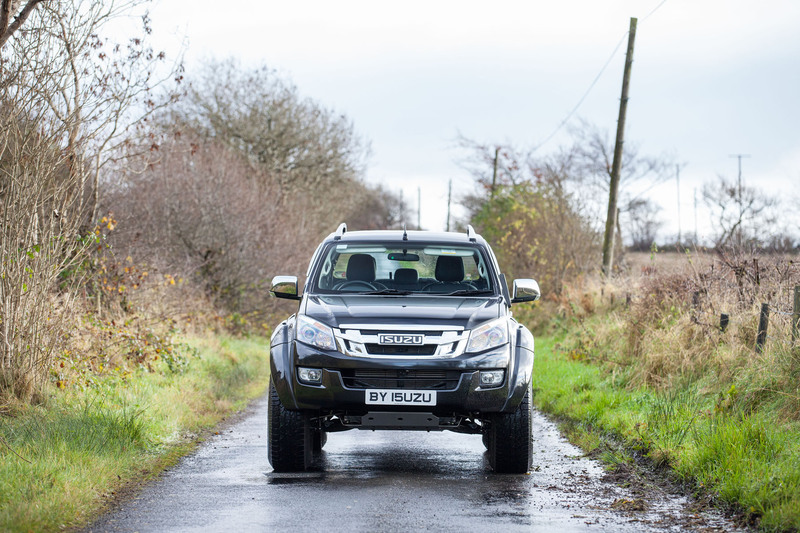 What they bring to the Isuzu range is to retain the mobility of the D-Max whilst adding much more ability and character. 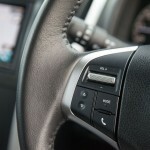 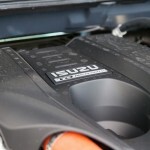 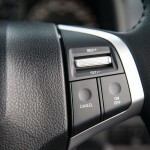 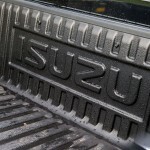 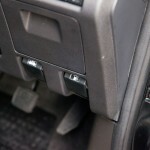 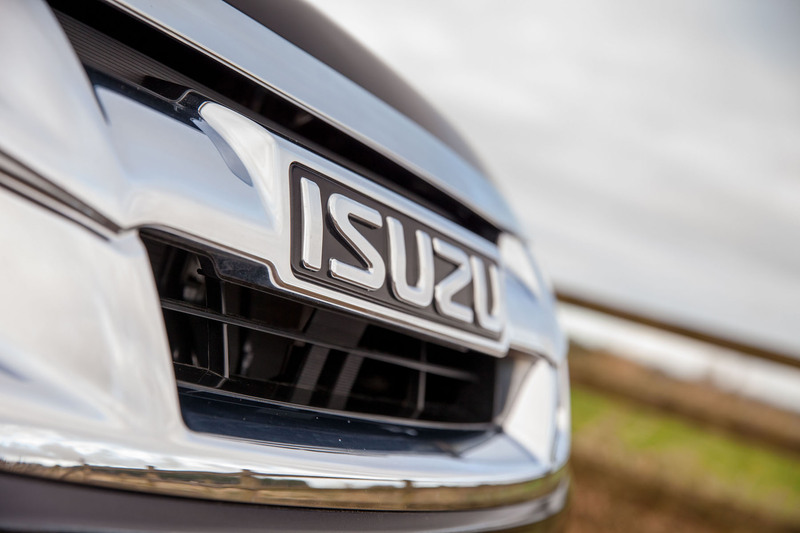 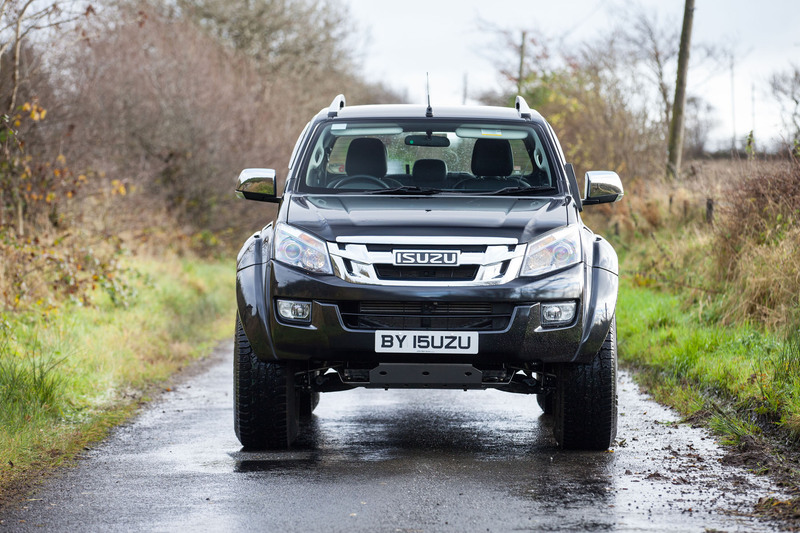 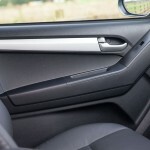 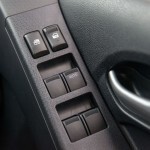 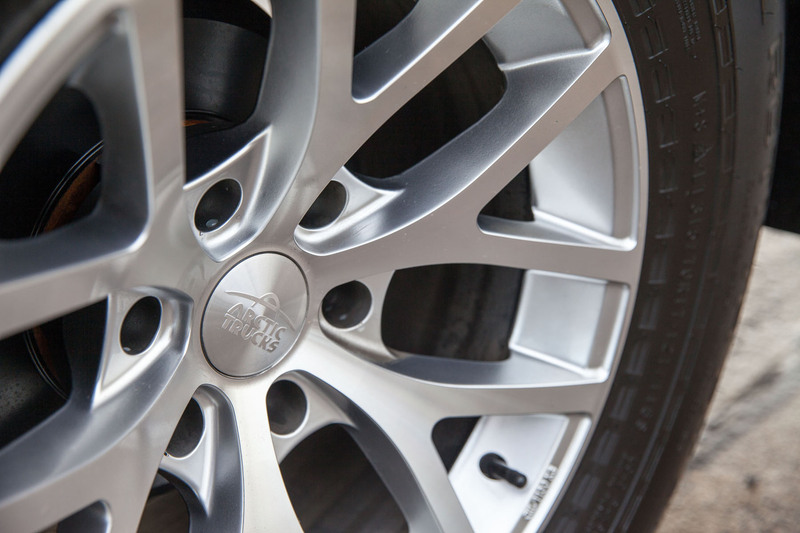 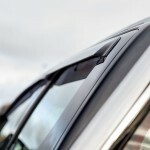 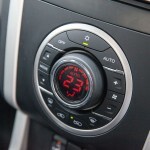 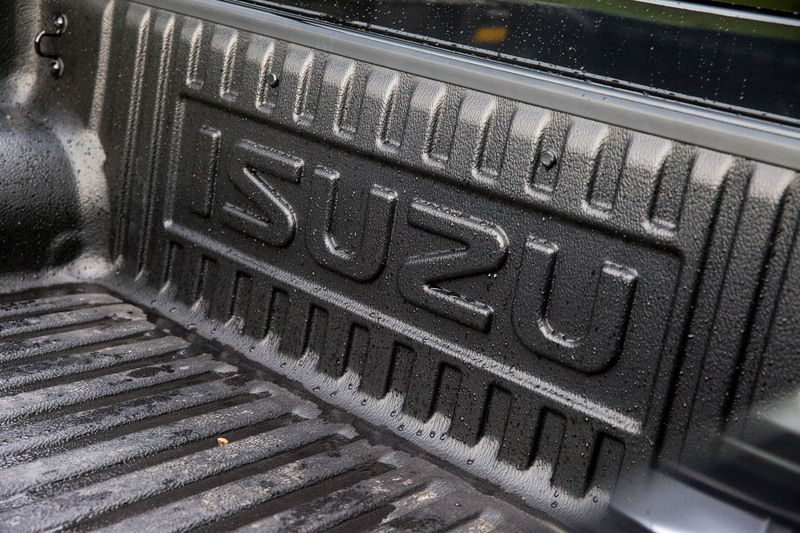 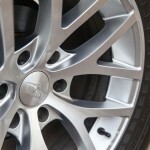 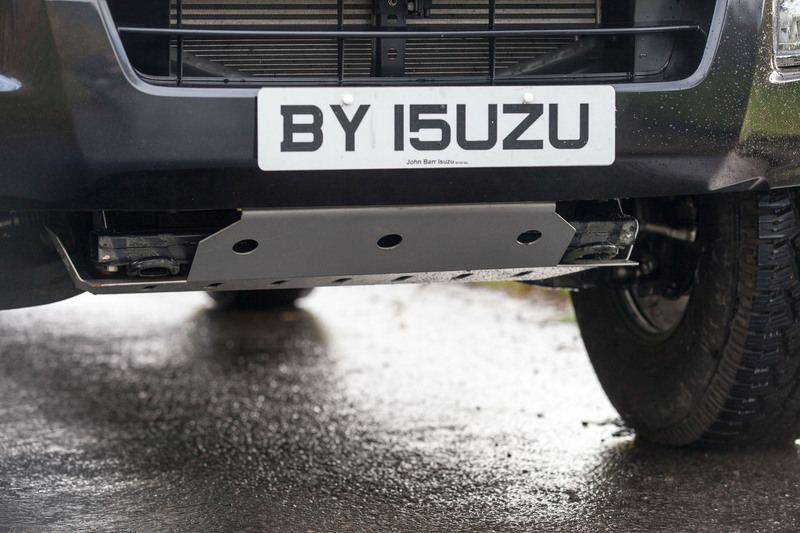 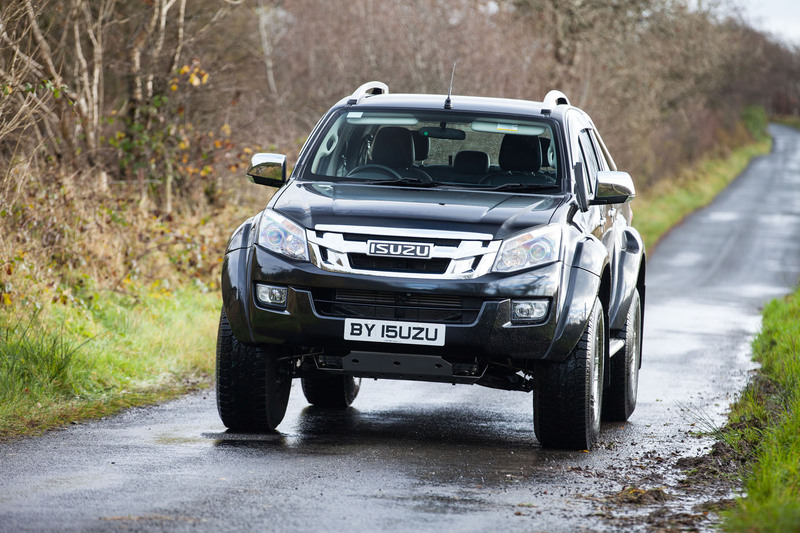 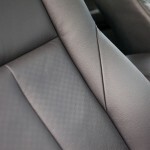 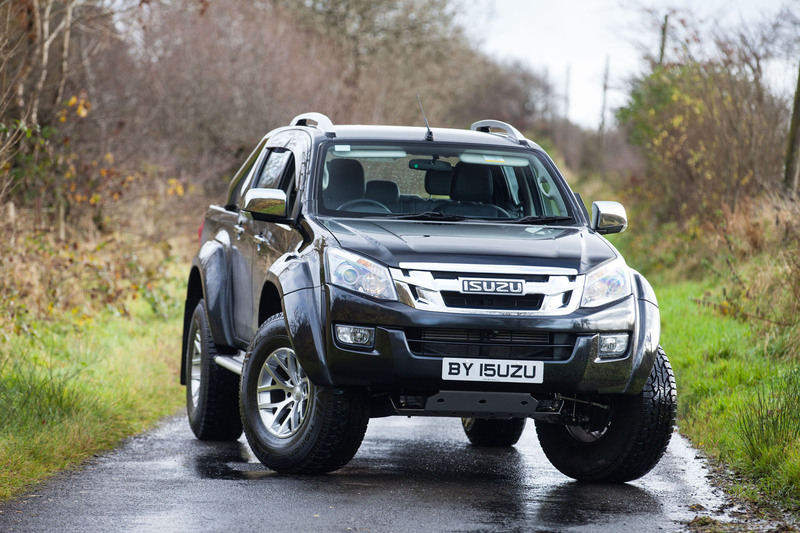 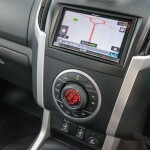 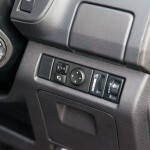 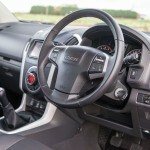 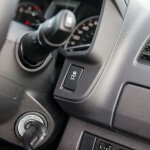 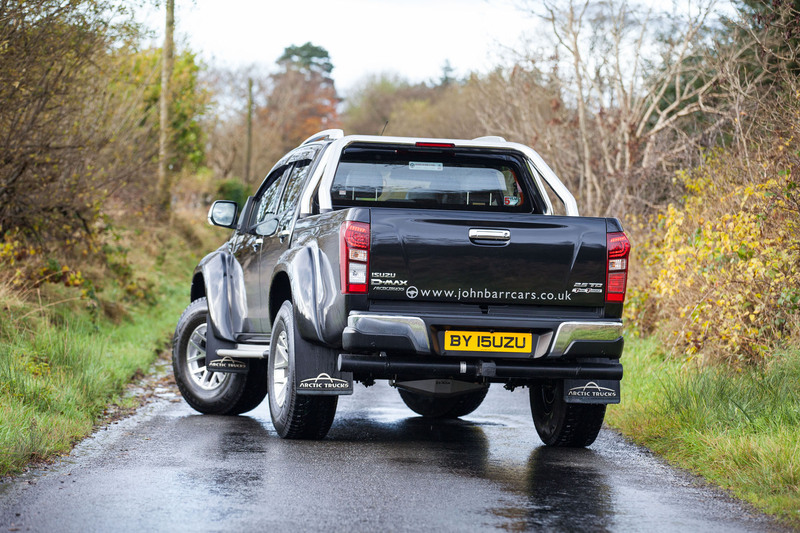 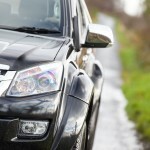 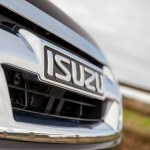 Northern Ireland’s sole dealer for Isuzu’s AT35 is John Barr Cars in Crumlin and it is with thanks to John that we can bring you a review of this very eye catching and unique puck-up. 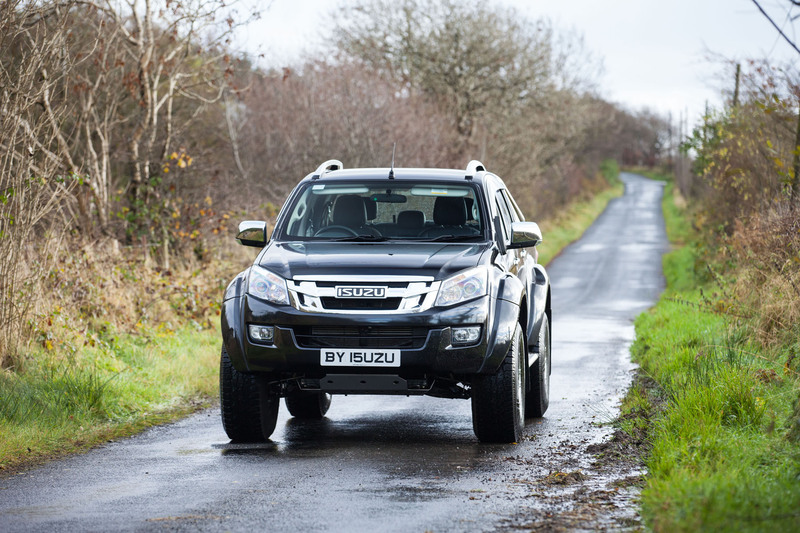 Life for an AT35 starts with an order at the dealer, at which point Isuzu UK send the model ordered to AT UK to undergo its transformation. 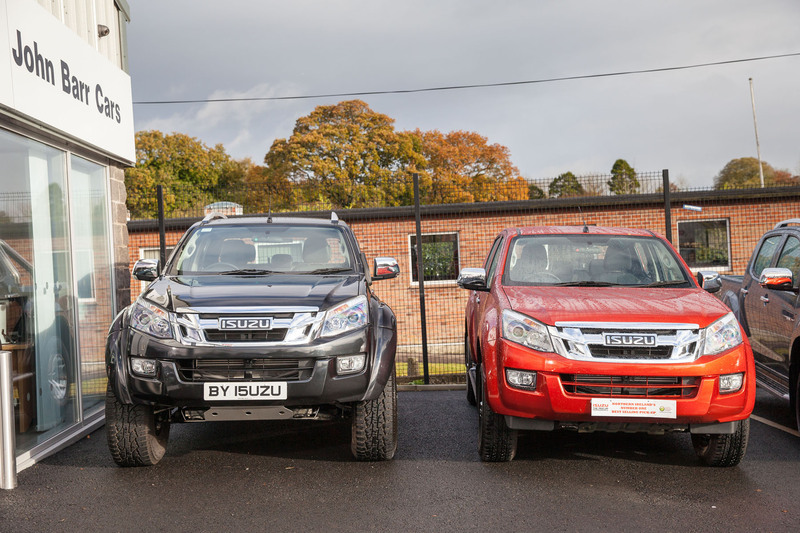 The AT35 is all about size and you can see in the image below just how much wider and taller the AT35 is compared to what it would have looked like a few months ago as on the right of the image is a standard D-MAx. 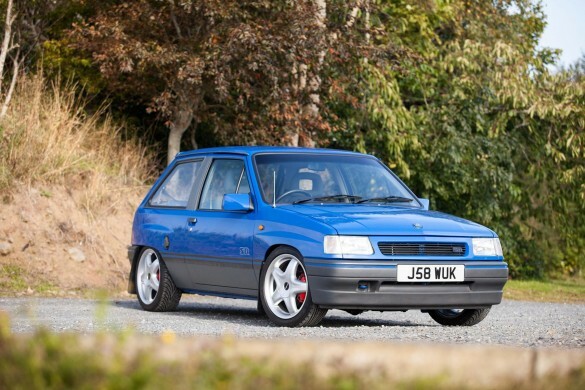 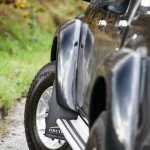 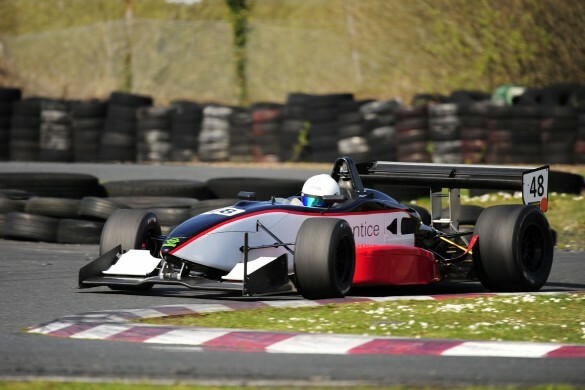 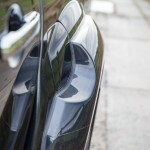 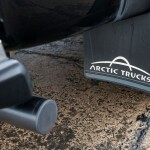 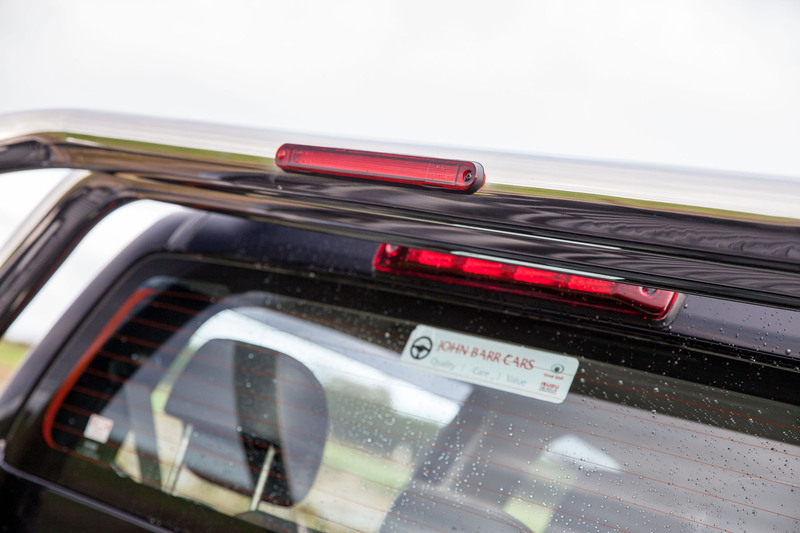 The AT35 kit consists of a full colour coded arch widening kit, bonded to the truck in a factory finish way. 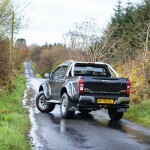 Fox Performance provide the expertise when it comes to the suspension and no lift kit would be complete without a suitably large wheel and tyre package so once AT have the suspension modified they then set about fitting a set of 17” x 10” wheels in either black or silver fitted with 315/70/17 Nokian tyres. 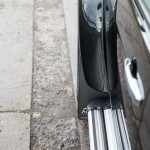 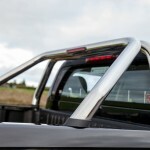 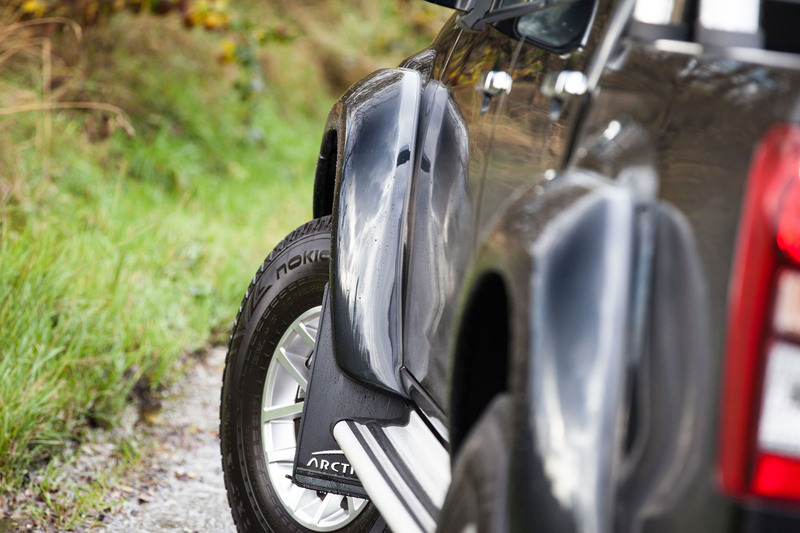 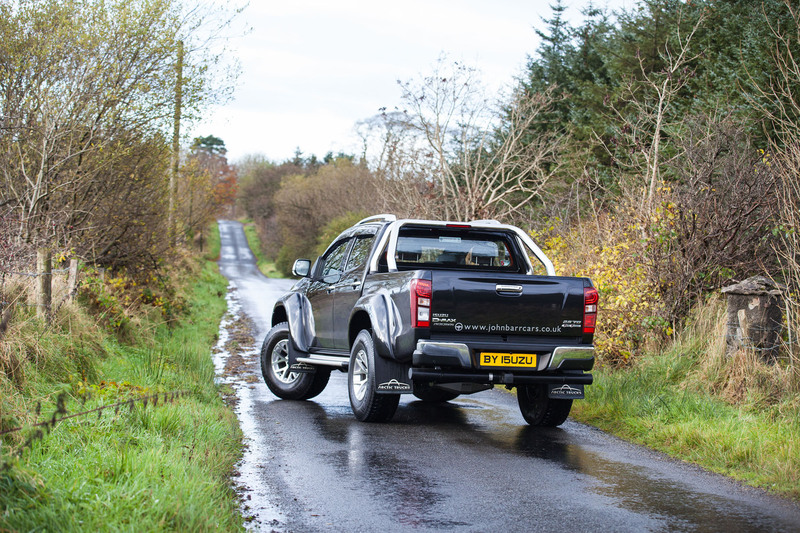 Due to the new height of the D-Max AT35 a small set of steps would be handy to enable ease of climbing in and falling out, however AT have thought of such issues and added widened side steps to assist the climb. 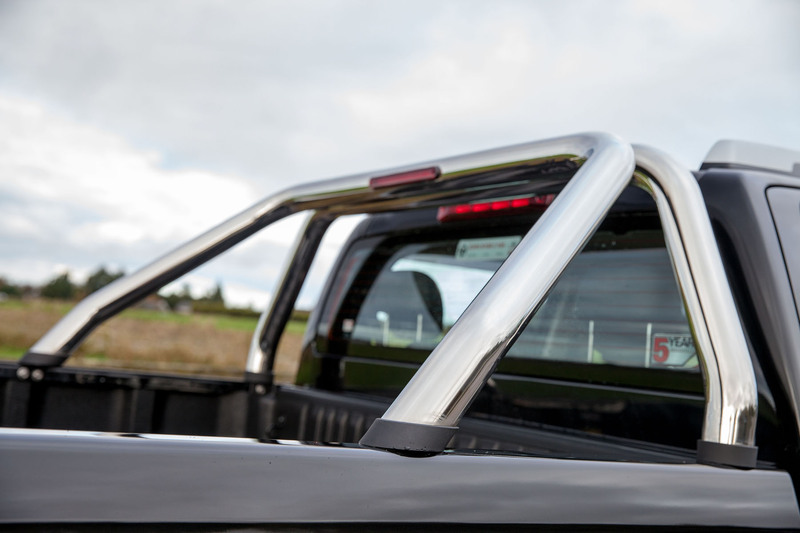 Other aesthetic features on this particular AT35 include a full set of side window, wind deflectors as well as chrome roll bars around the back of the cab over the load bay which is fitted with a load liner and a nice feature of the AT35 is that the tailgate is fitted with a hydraulic ram so it opens gently with no drop and bang like other trucks. 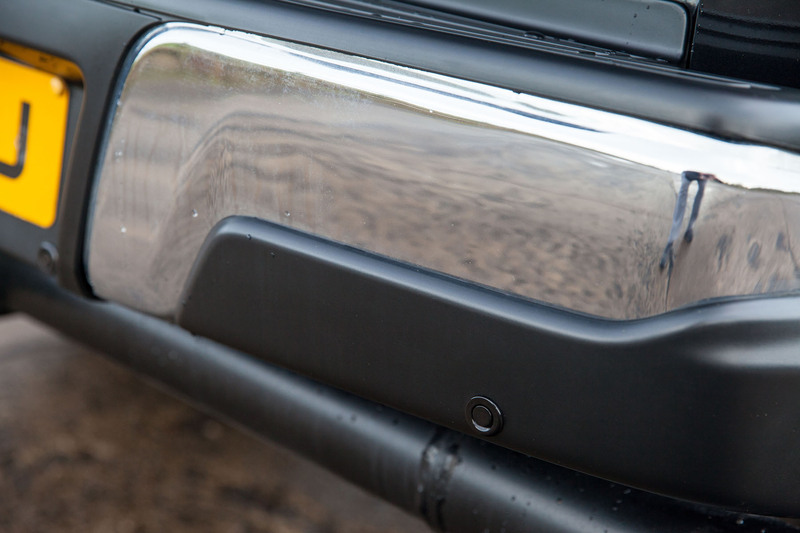 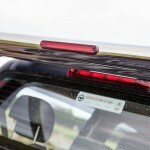 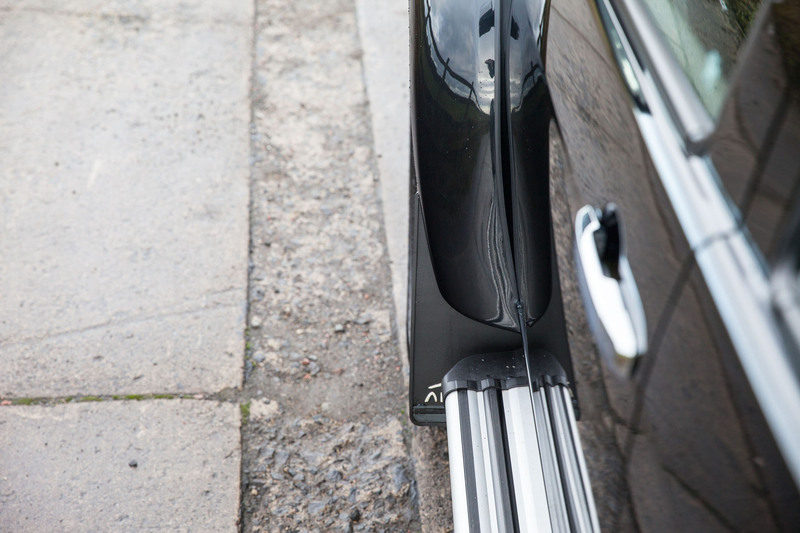 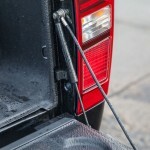 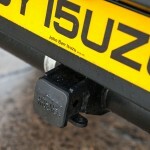 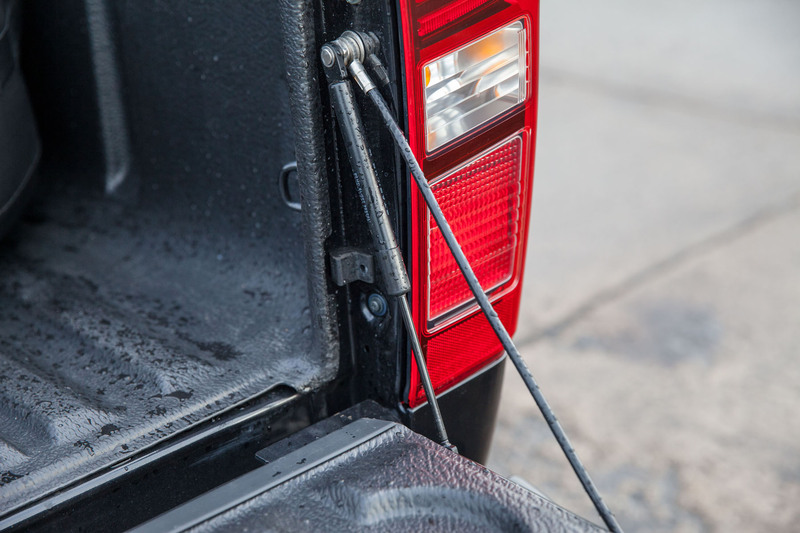 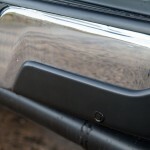 Below this is a detachable tow bar and the big selling point for many is the fact that along with the 5 year 100k mile warranty, the D-Max AT35 can still tow the all-important 3500kg. 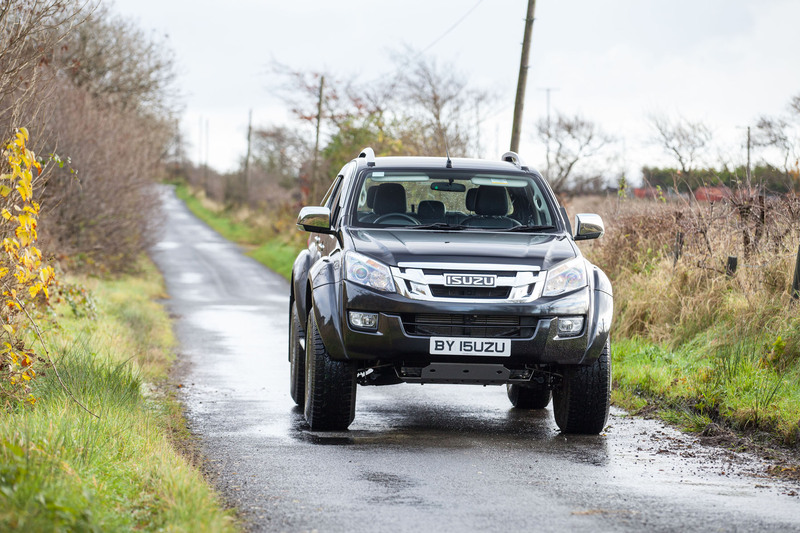 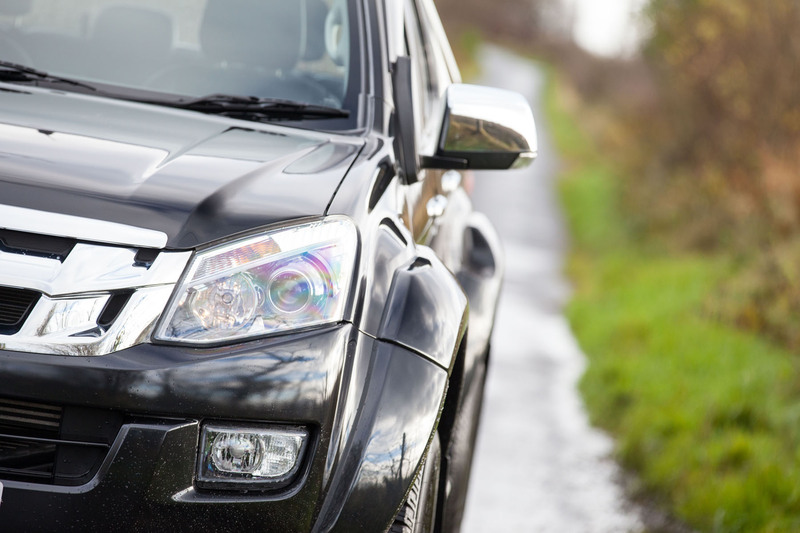 Despite the fact that AT take the D-Max for the major works, Isuzu UK give the vehicle its final check before shipment to the customer, thus all manufacture warranty remains intact. 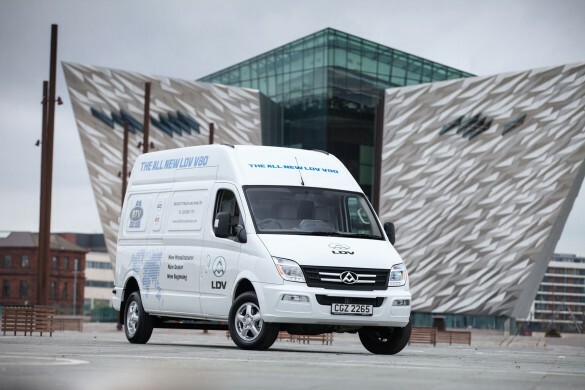 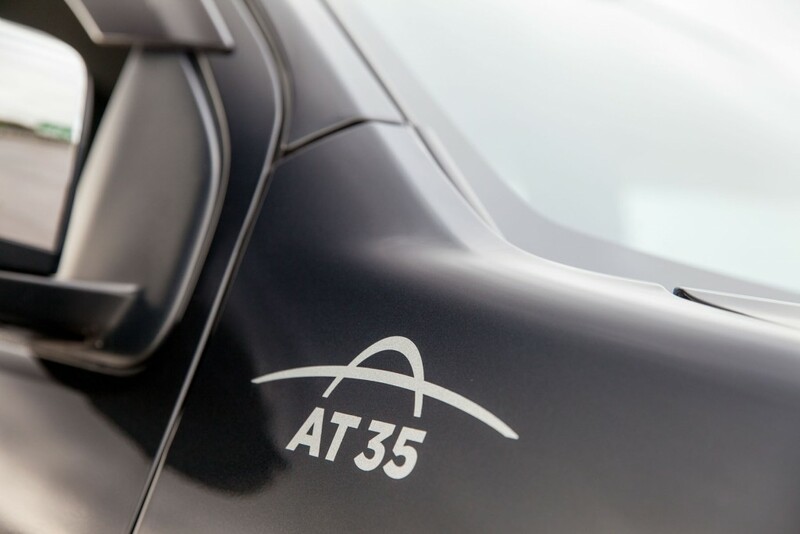 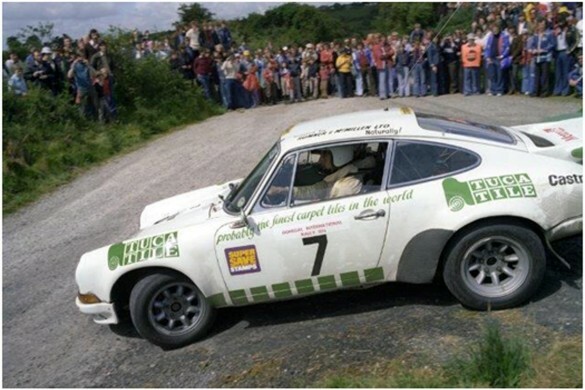 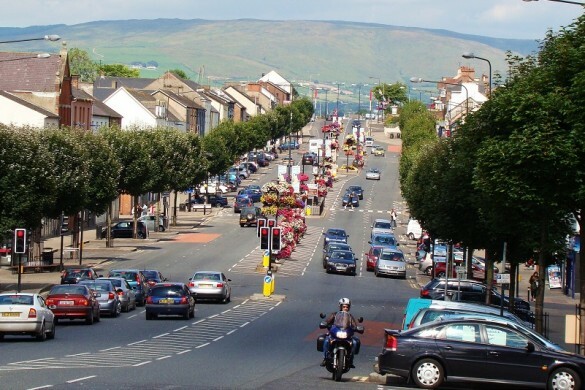 The AT35 has a presence on the road similar to that of Samson and Goliath on the Belfast skyline. 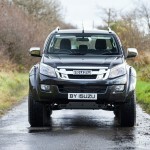 Massive, unmissable and means business but to some will be a little too in your face. 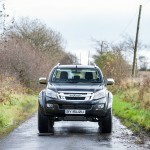 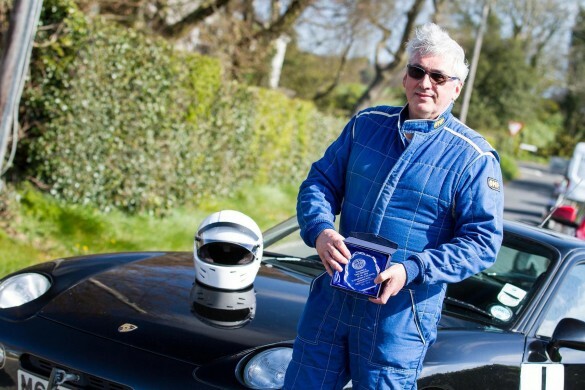 Personally I absolutely love it and feel that is it best suited to the adventurist owners who don’t like to conform. 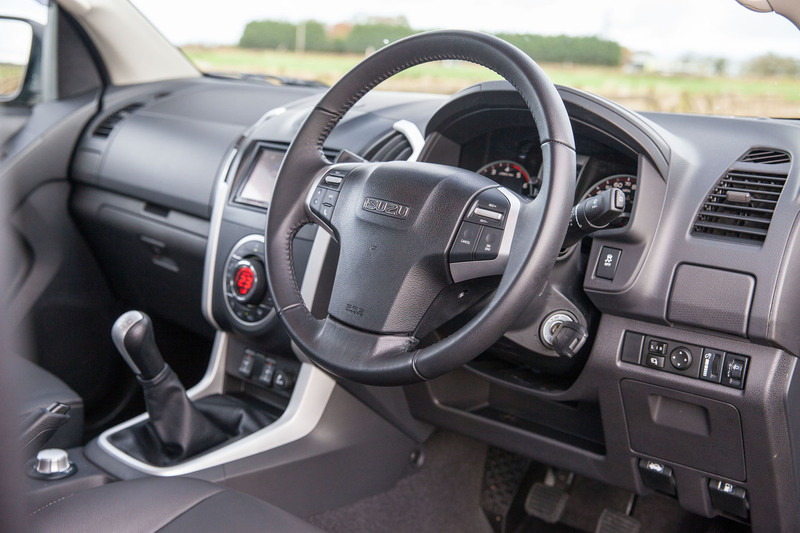 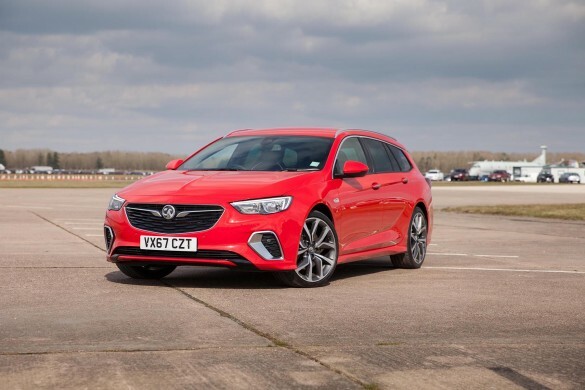 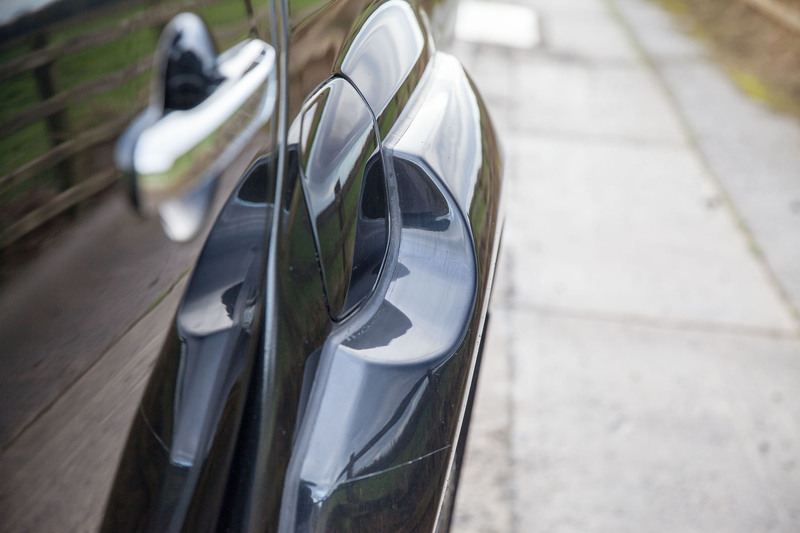 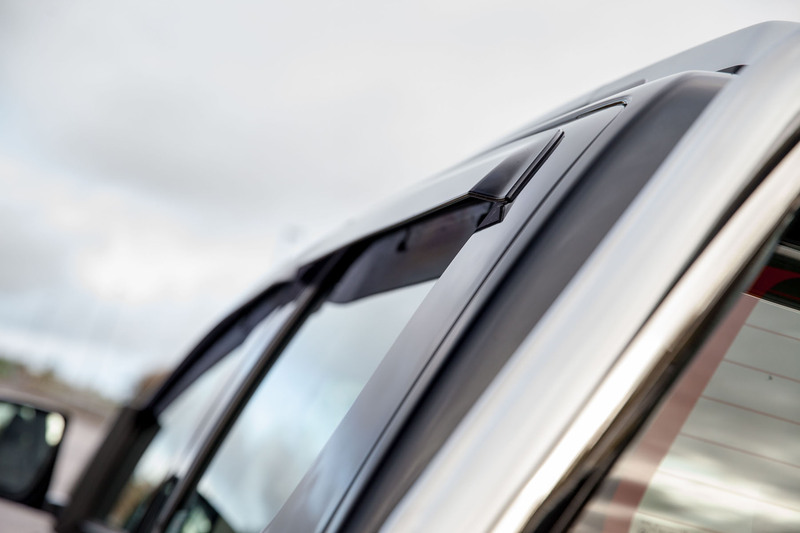 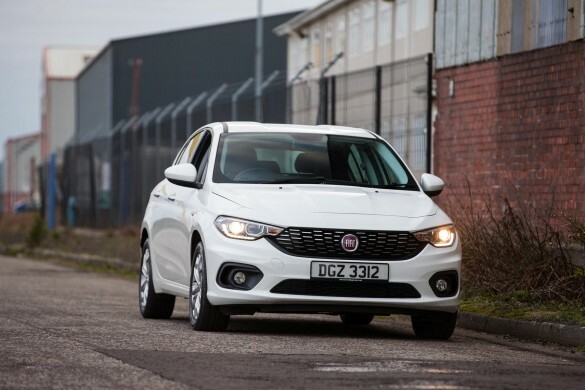 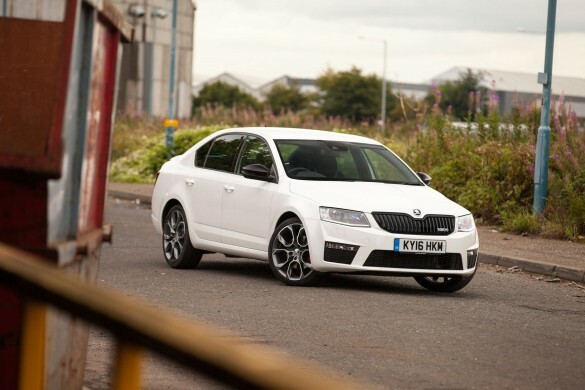 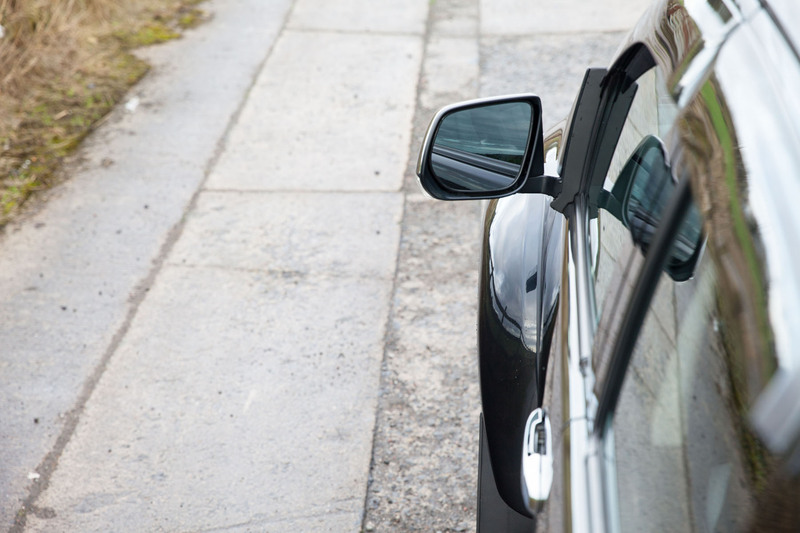 Electric windows and mirrors come as standard whilst the steering wheel has controls for the cruise control, Bluetooth and infotainment system. 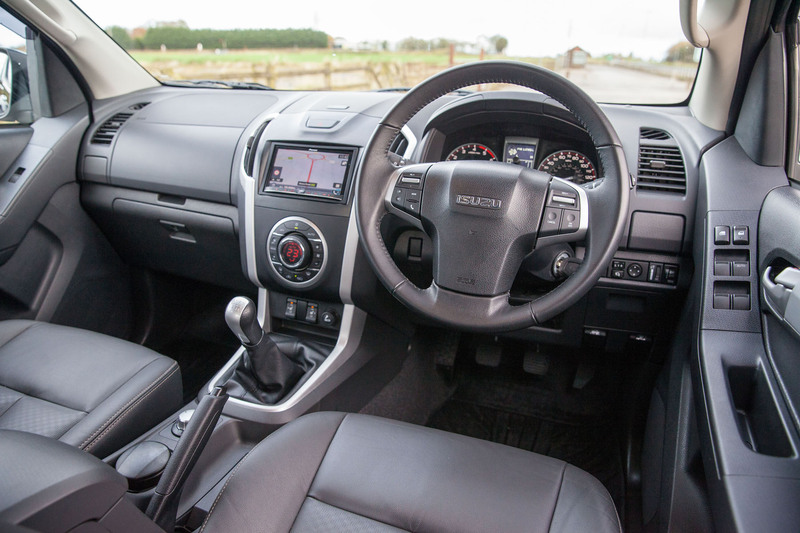 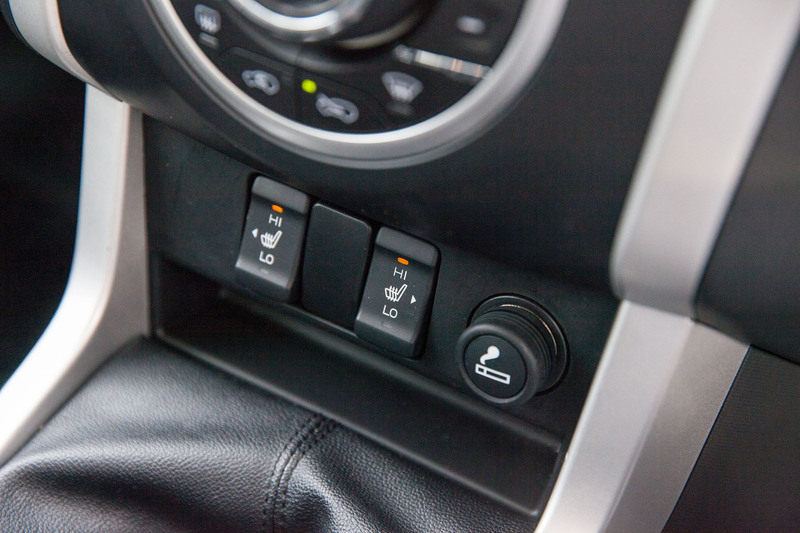 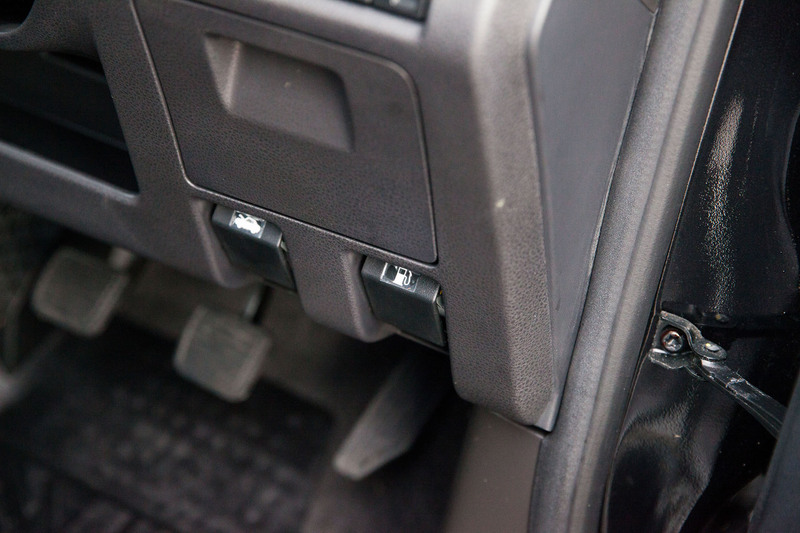 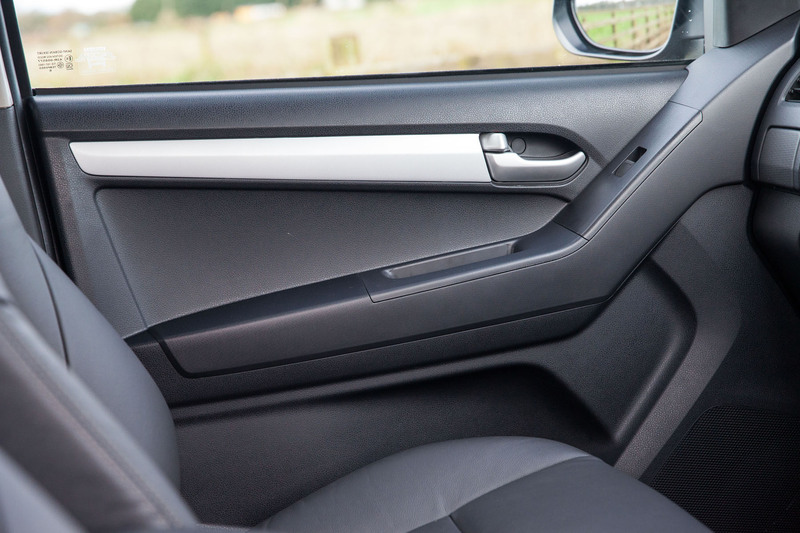 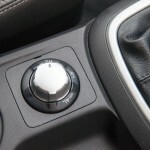 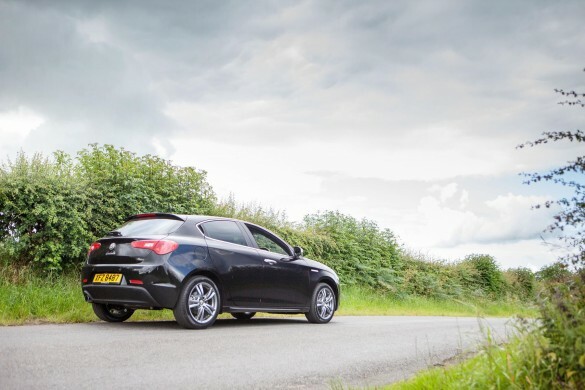 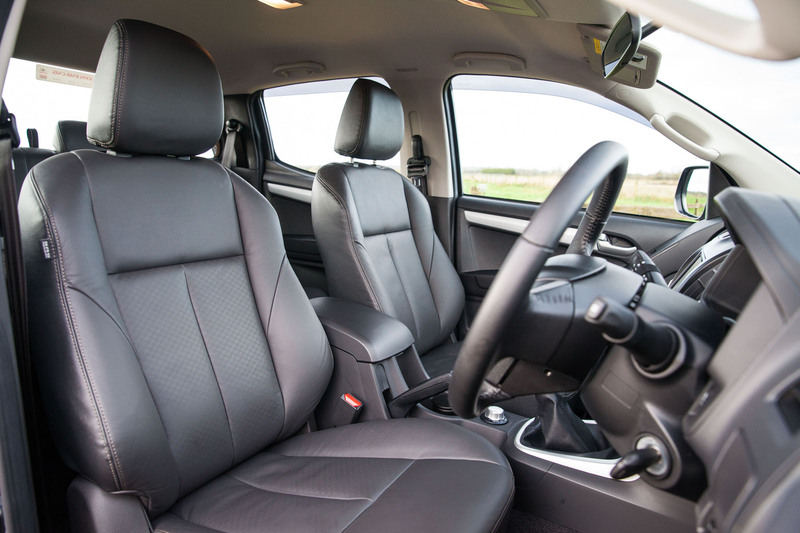 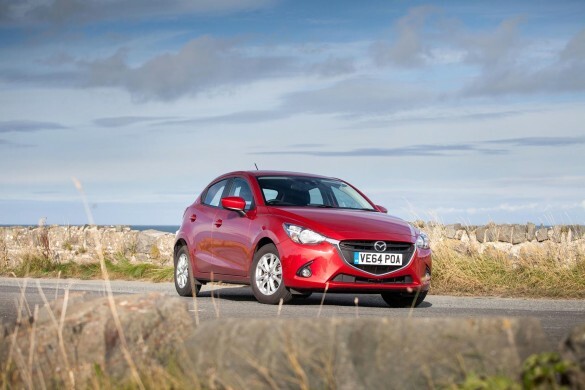 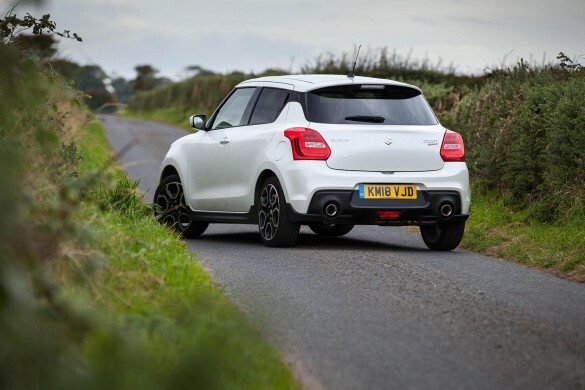 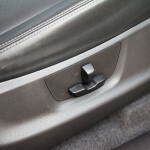 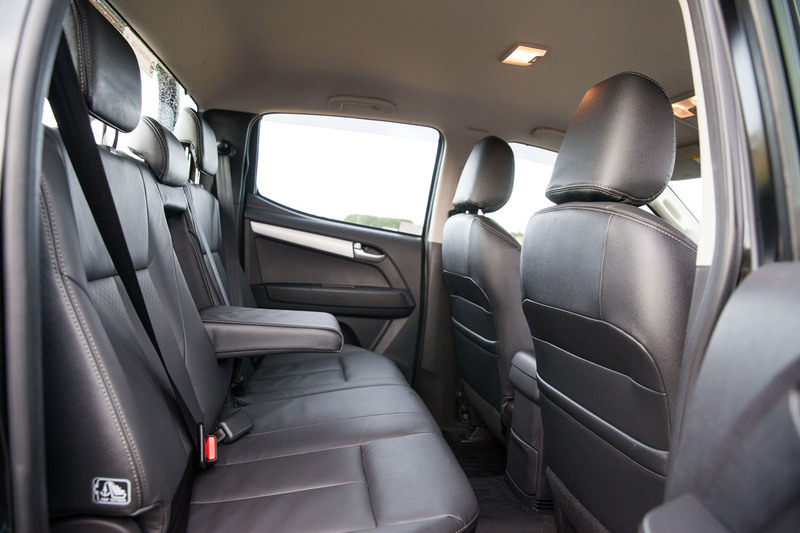 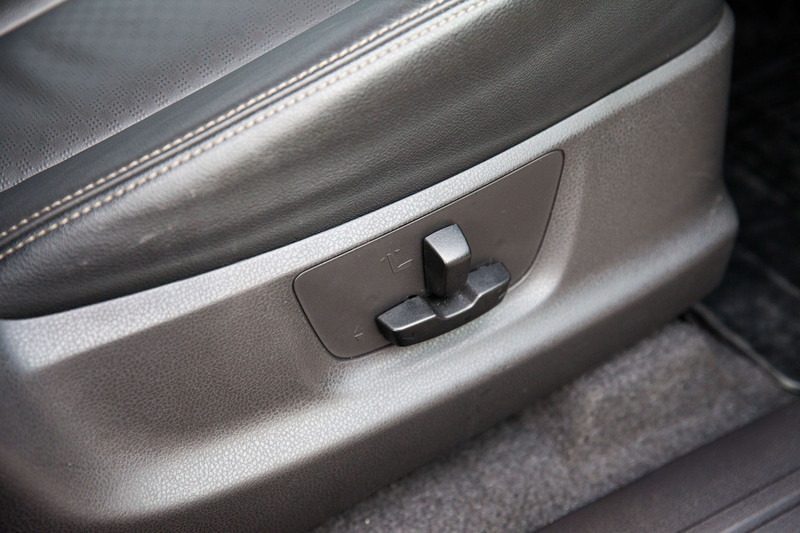 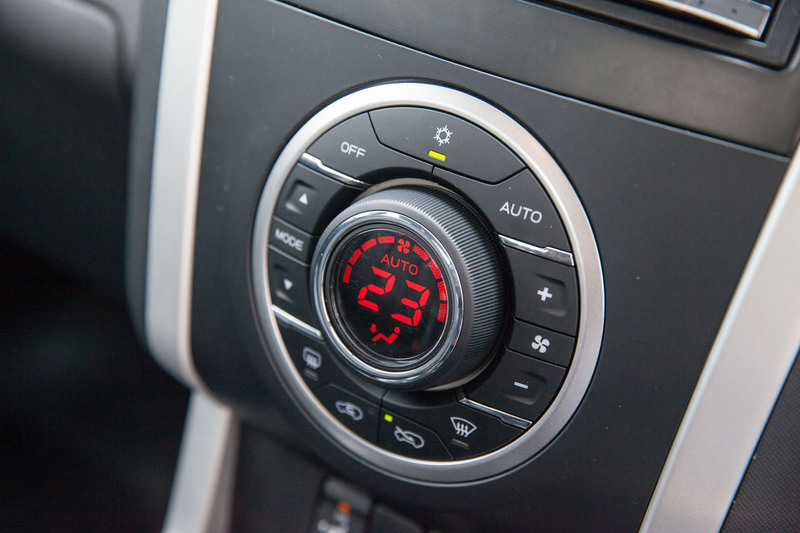 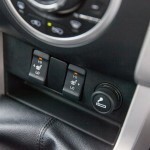 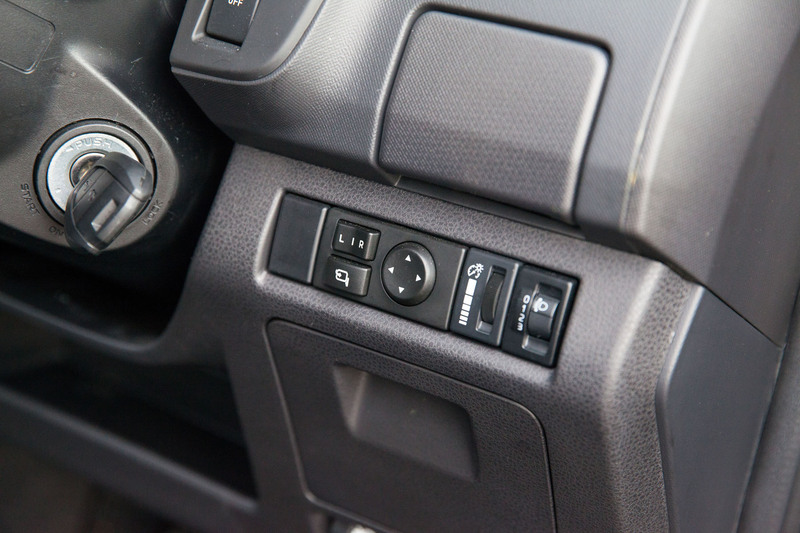 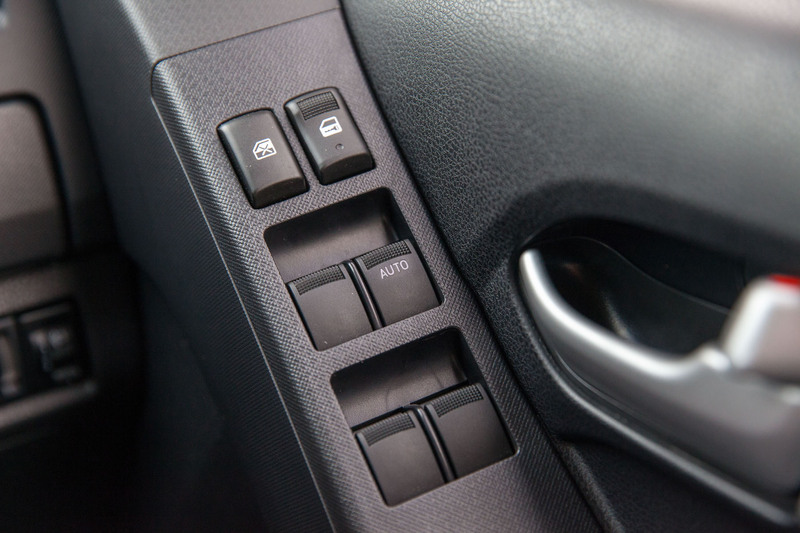 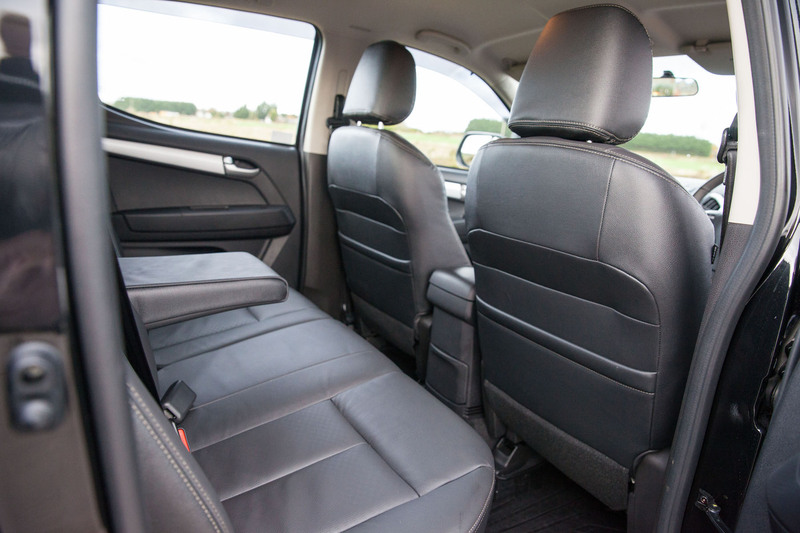 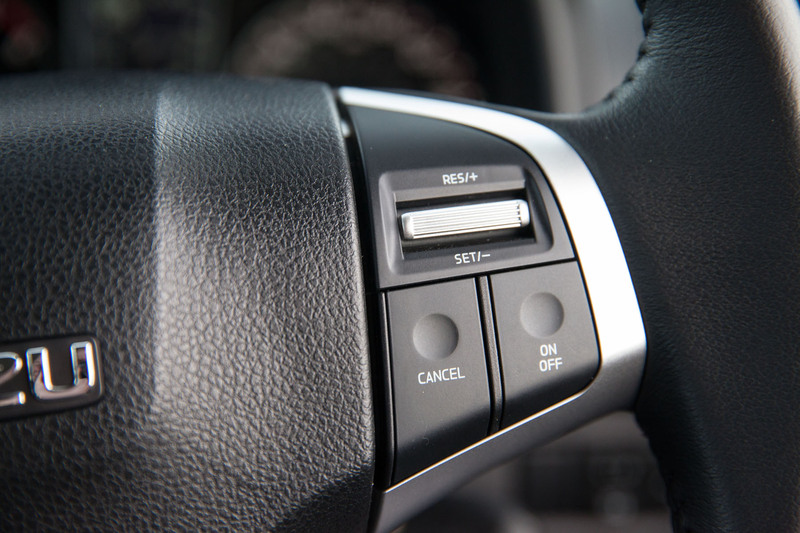 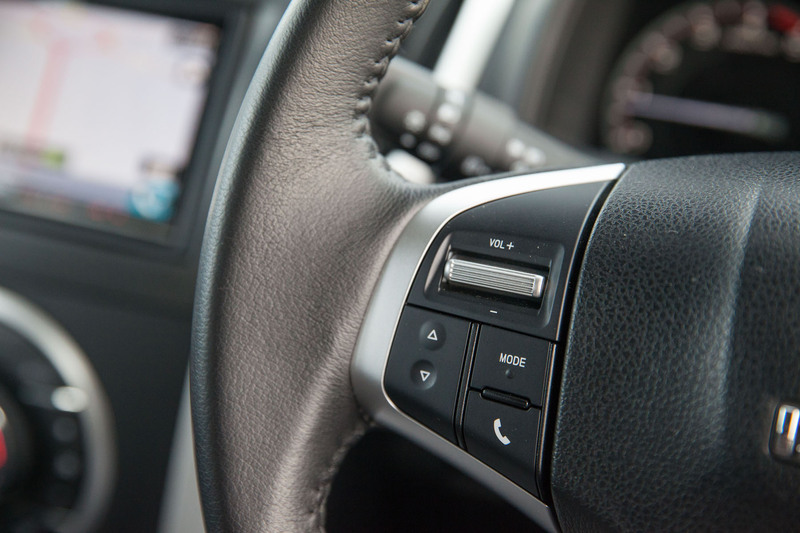 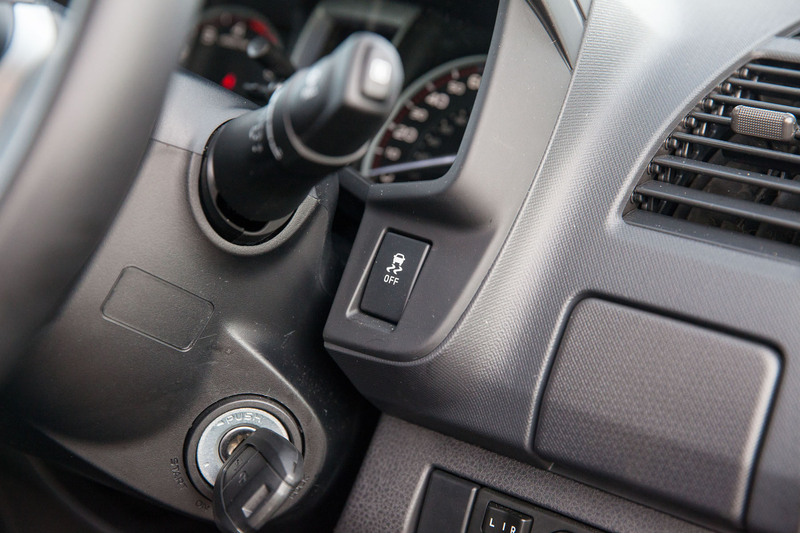 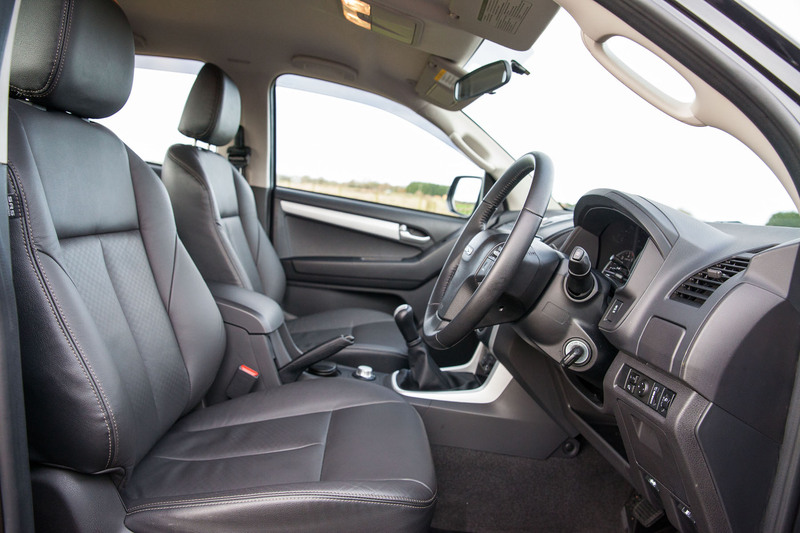 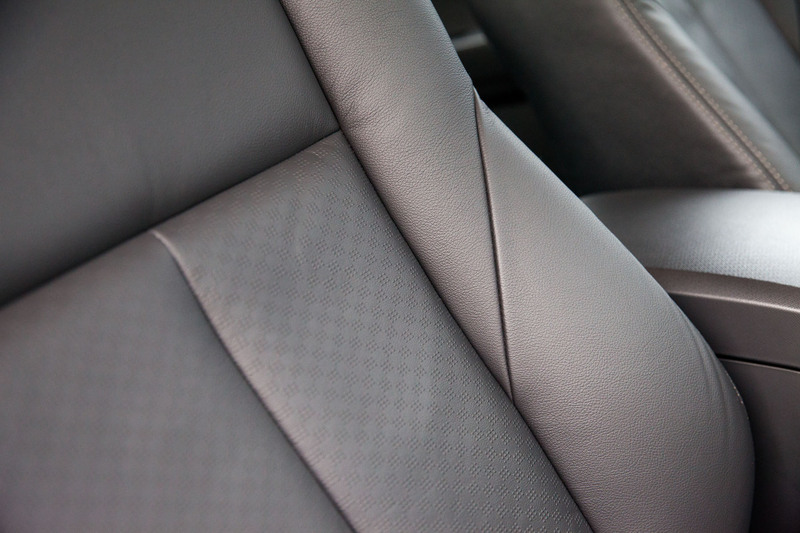 Comfort in the cabin is aided with climate control and air-con whilst safety on and off the road can be controlled via the drive mode knob behind the gear stick. 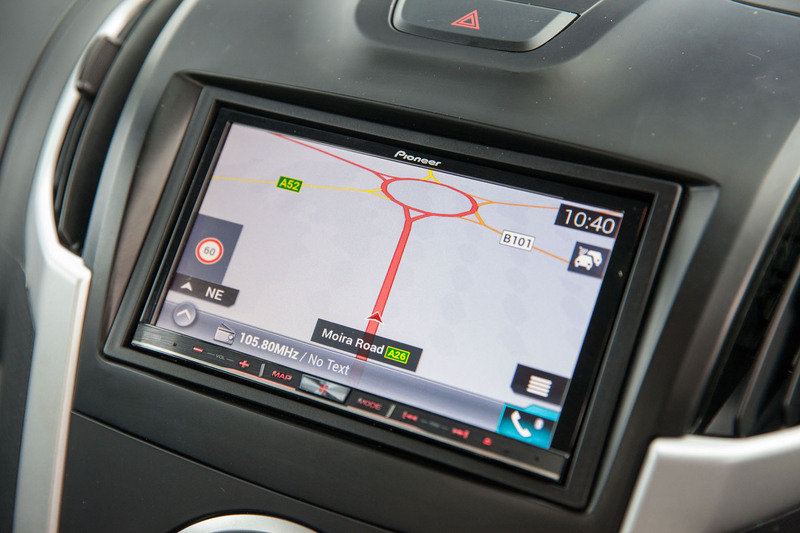 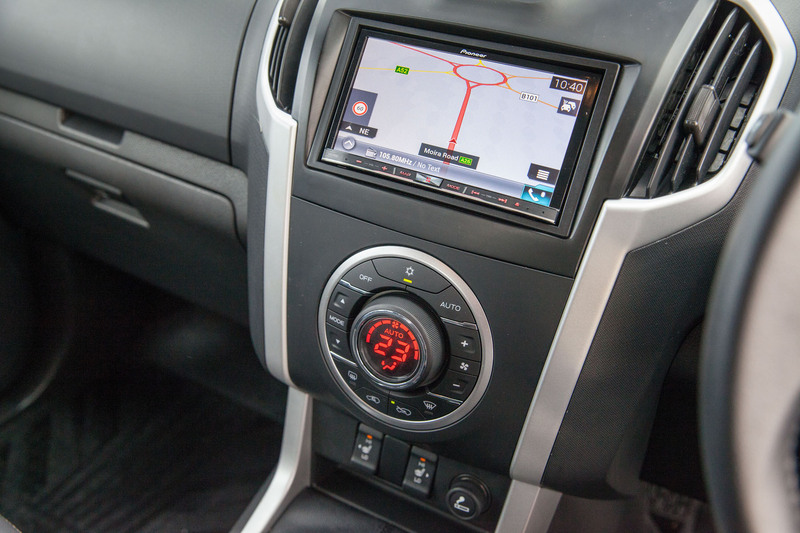 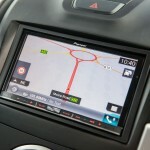 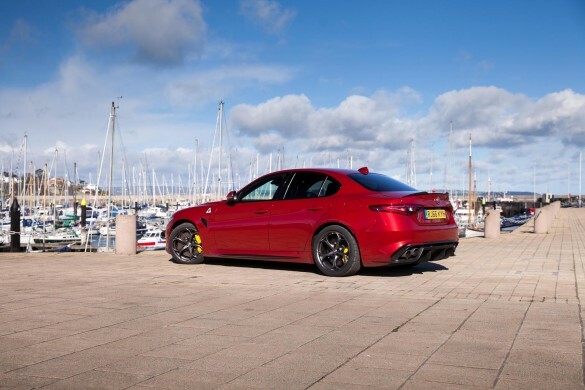 Infotainment is provided via a simple to use, Pioneer touch screen system which offers sat nav, Bluetooth, DAB radio and I am pretty sure CD playback also along with integration to the reversing camera and parking sesnors. 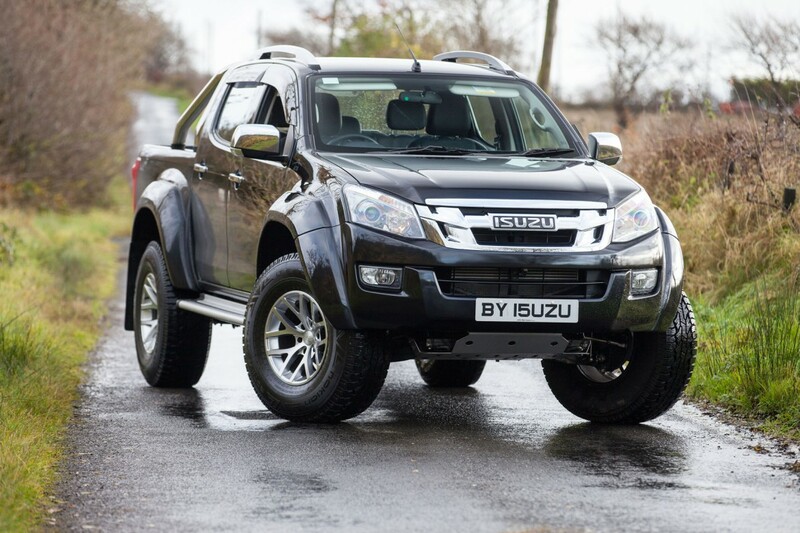 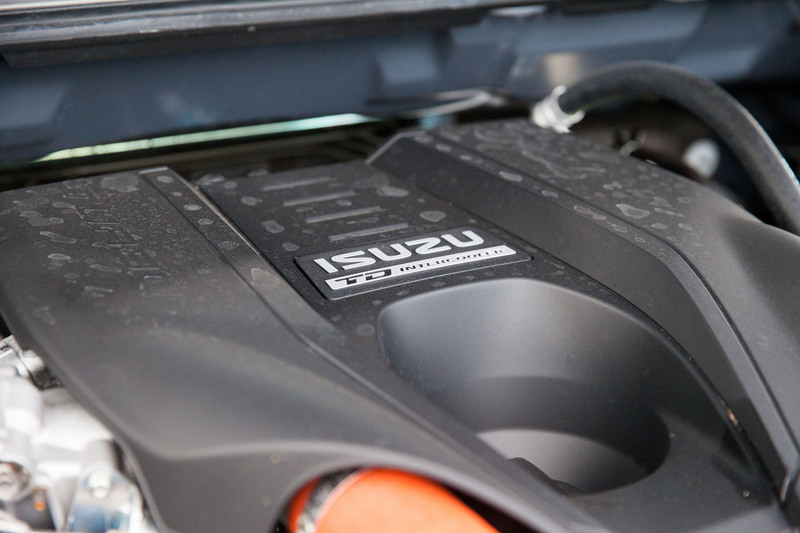 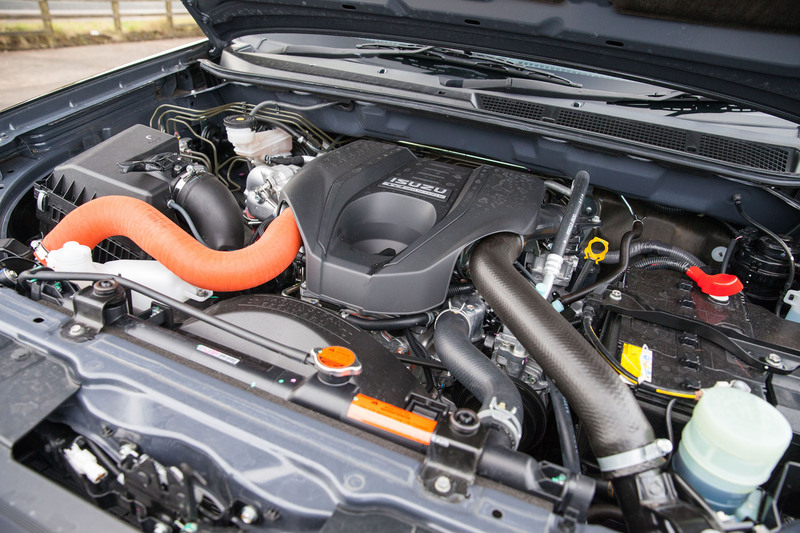 Engine wise the AT35 is equipped with Isuzu’s single offering, the 2500cc twin turbo diesel producing a healthy 163bhp with a more than adequate 295lb/ft of torque via a 6sp manual gearbox (as tested) or a 5sp auto box which is an option. 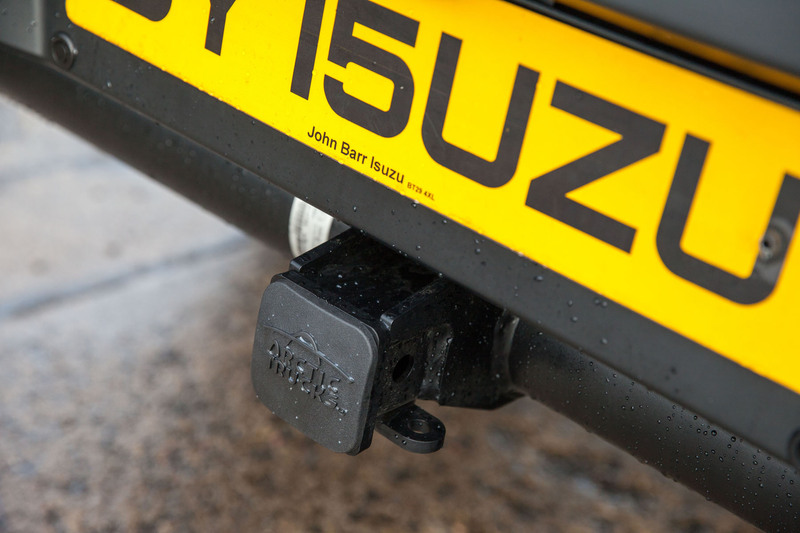 This unit offers plenty of grunt and all within a very usable and eco-friendly rev range making it perfectly suited for heavy loads in the flat bed as well as towing. 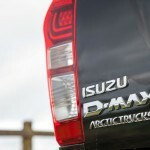 On the eco-friendly part, years ago on previous makes and models economy wasn’t something that was ever mention, as generally they didn’t have much, however the D-Max will return a surprising yet very welcomed mid 30’s mpg. 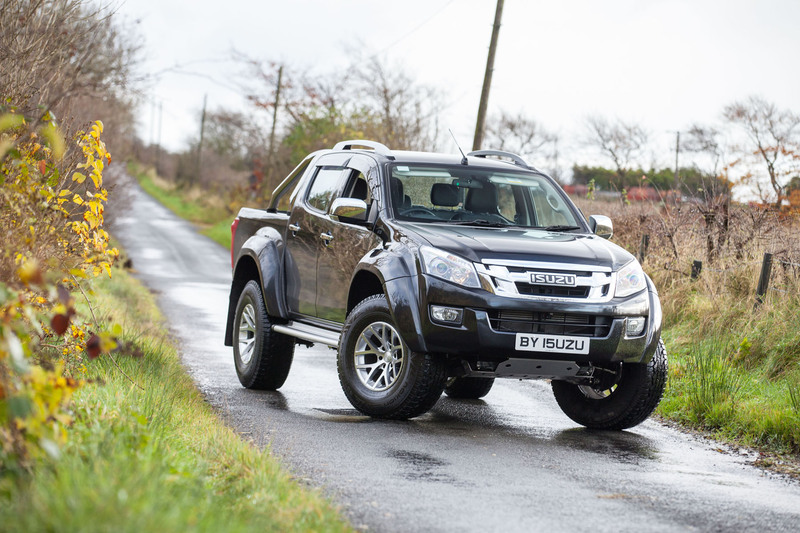 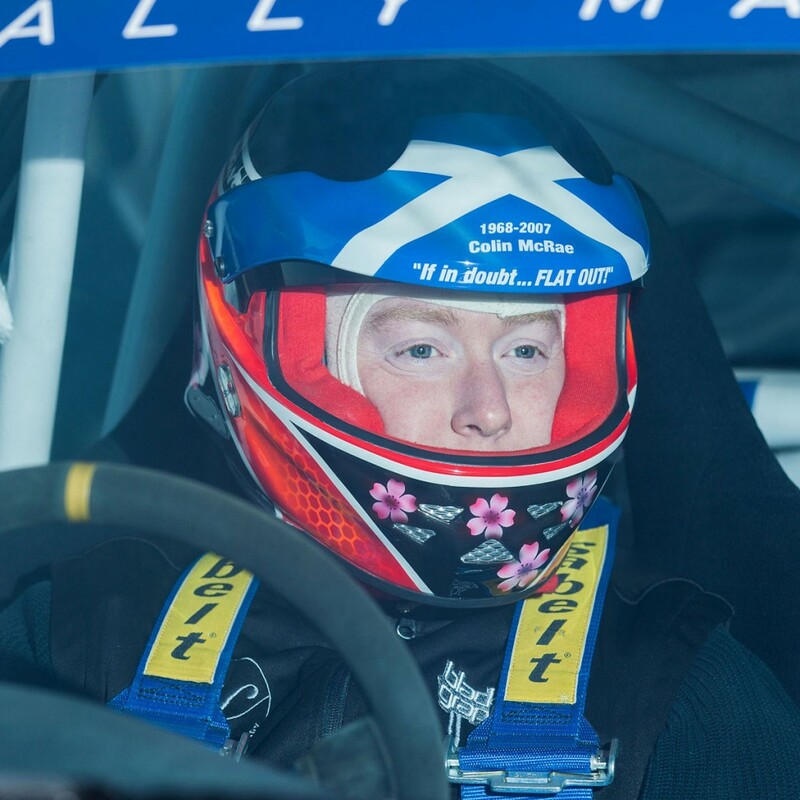 One thing I did notice over the standard D-Max, is that the AT35 tends to be a little more gear sensitive due to the big tyres but nothing that would put me off in the slightest as once driven for a few miles I got used to its mannerisms. 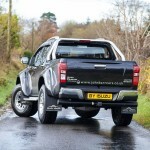 As expected from a commercial vehicle, it doesn’t drive like a car, was never designed to drive like a car and never will drive like a car, however it was well grounded and firm (a little bouncy on a very bumpy road due to lift kit), didn’t have a huge amount of body roll and was predictable when cornering, so as a driving experience very pleasurable for a commercial vehicle this tall and wide. 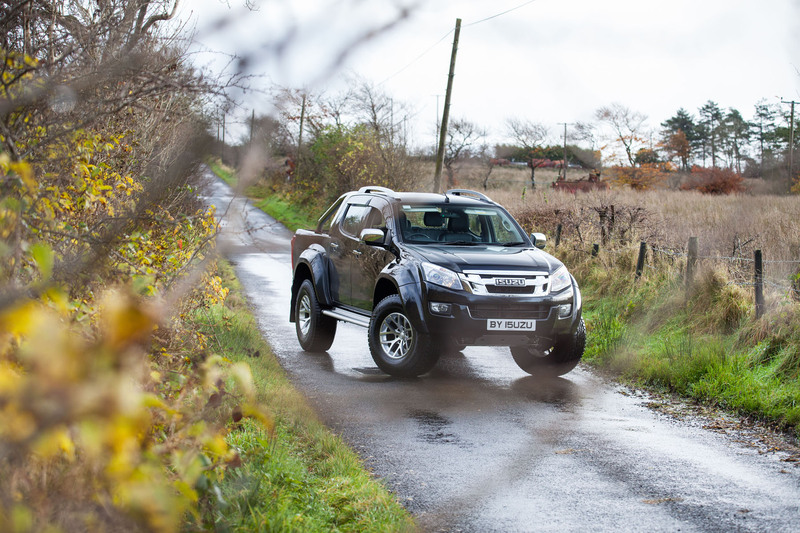 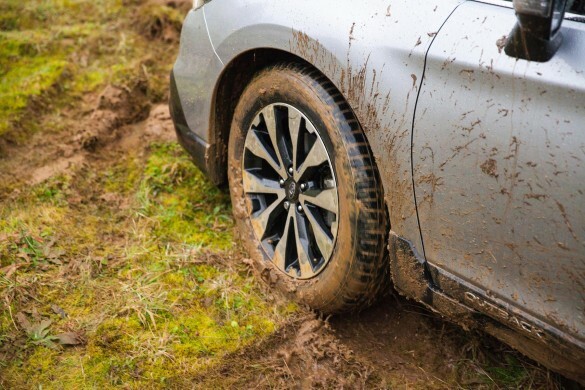 Off-road the D-Max AT35 is more than capable and at the simple turn of a dial you can change from 2H (2 wheel drive high), 4H (2 wheel drive high) and 4L (4 wheel drive low). 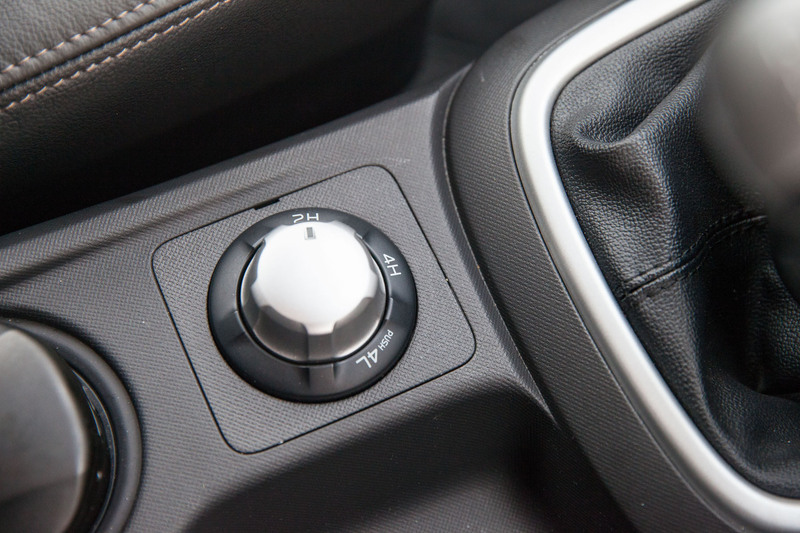 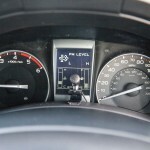 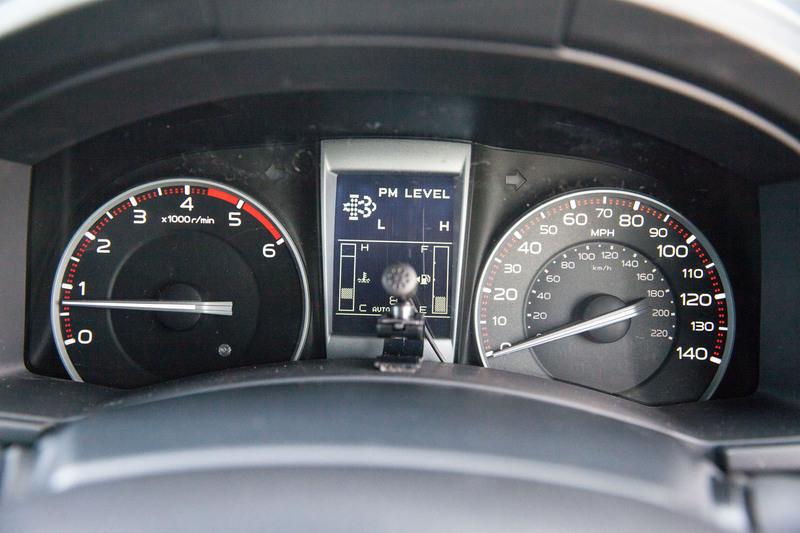 This gear selection is all very smart and actually allows you to “shift on fly” which pretty much means you can change the drive setting of the AT35 as you drive. 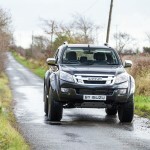 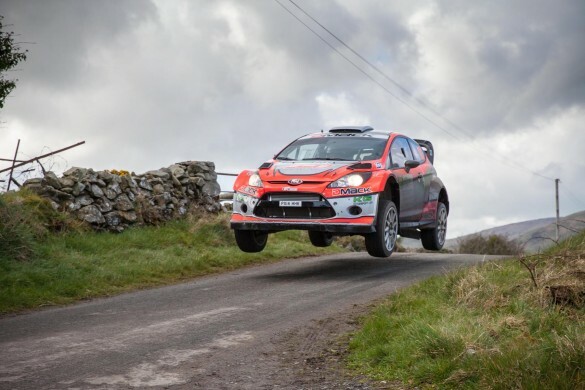 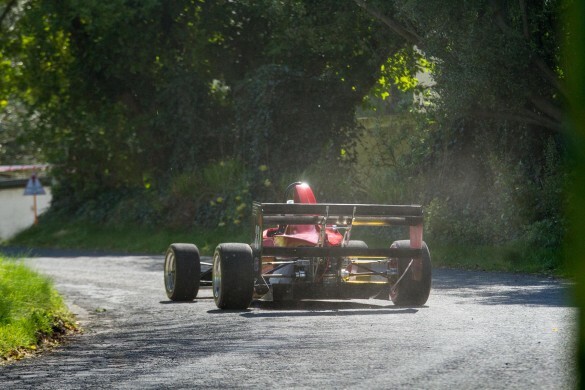 For most driving they will rarely be out of 2H in fairness but if laden with a trailer on the road or off the beaten track there is no issue at all in running the AT35 in 4H at speeds of no more than 60mph (recommended by Isuzu and also if towing this would be the legal maximum speed anyway). 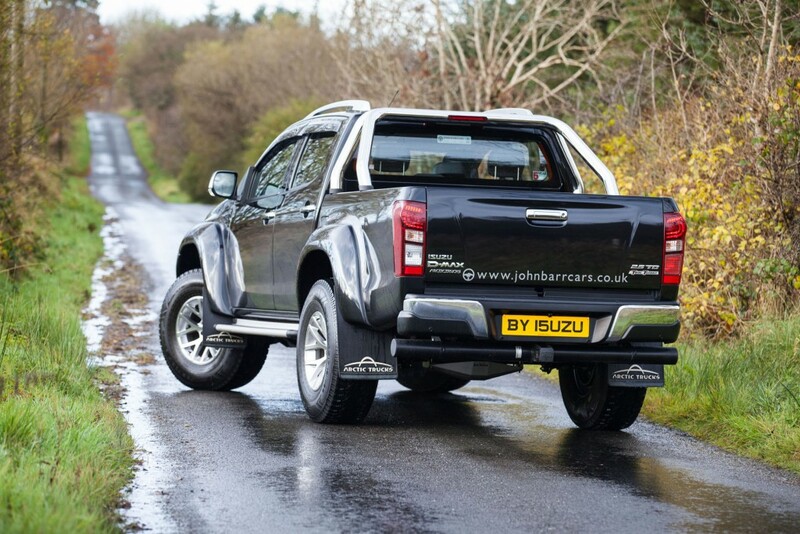 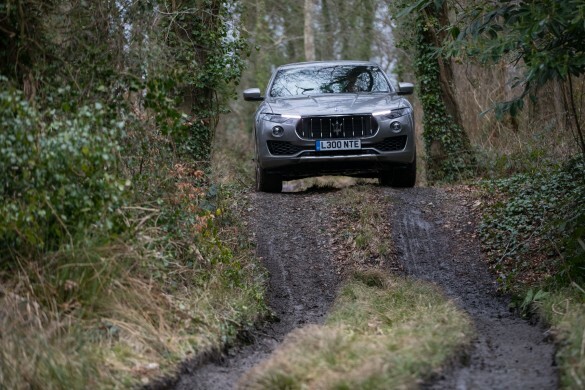 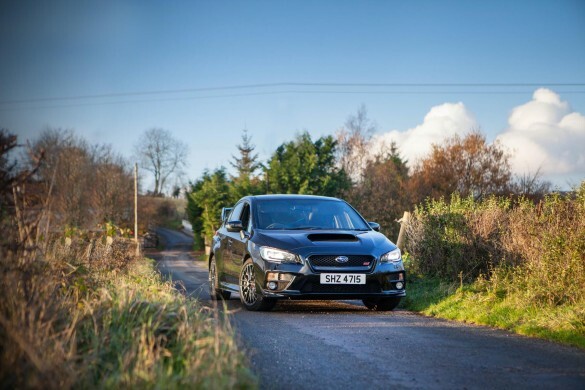 It is in rough mountainous terrain that the AT35 will excel and with pricing coming in circa £33k+vat it is certainly an affordable option for many, so if it sounds and looks like it could be your next purchase, give John Barr Cars a shout sooner than later!